Continuing Education at University Park collaborates with the Penn State academic colleges to deliver credit courses to help working professionals fit education into their busy lives. Courses through Continuing Education can be applied to a wide selection of Penn State degrees and certificates, and offer a blended learning environment of adult students and traditional-age students to promote the sharing of unique perspectives, experiences, and knowledge. 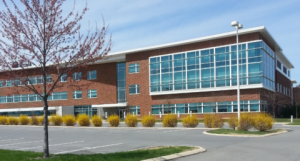 Our office is located at 100 Innovation Boulevard, State College PA 16803, just off Route 220 (I-99) Exits 73 and 74. View parking map.